outdoor wood furnaces for home heating. 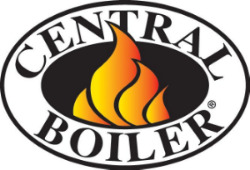 Central Boiler furnace models are engineered to be the most efficient outdoor wood furnaces available while providing the best durability, low maintenance features, and an appealing fit and finish. Gabe and Melanie started Buckeye Boilers with a customer friendly approach. Something that is hard to find these days. "No pressure" sales tactics and an honest and straight forward approach is what makes Buckeye Boilers the best choice in the world for other hard working families to control their heating bills by heating with wood. We'll keep you up-to-date. Click below to see information about epa regulations, product demonstration videos, and current promotions and financing.